Still enjoying the Czech Republic! The scenery in the north close to the Polish border is stunning, with tree covered hills and mountains and quiet B roads. We headed to Nova Paka which is a town that I (Graham) know well from my work at SIFAM. 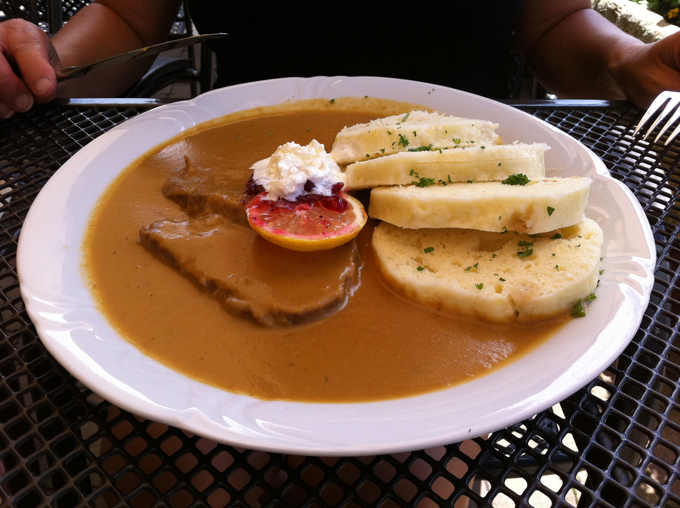 We met with a friend called Jindra and had a really nice lunch that included a Czech specialty, garlic cream soup …. delicious but not very sociable! We also had dumplings and pork, again a traditional dish. Thanks Jindra it was great to see you and thanks again for the Krkonosska Medovina …. it even sounds delicious! There are still no lorries on the road which helps and the sun is shining. It was up to 30 deg C today and even when we headed up to the mountains (Pec Snezkou) the tarmac on the road was melting. Having stayed in a cheap campsite last night we decided to try another one after coming back down the mountain road. 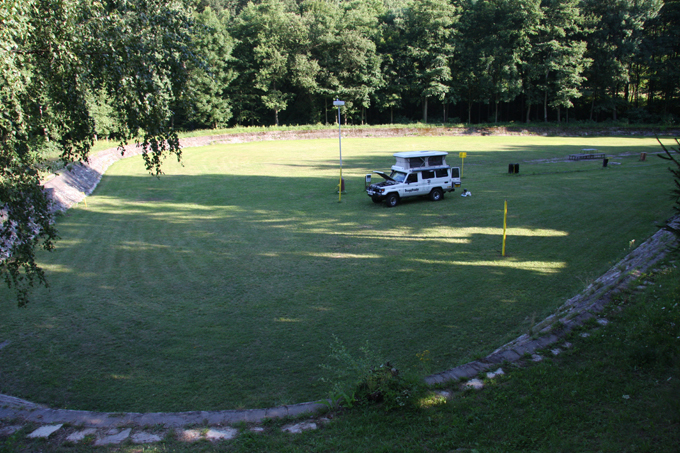 We headed to a place called Upice and found a little campsite that used to be a reservoir or pound for a mill. It had since been filled with soil and turfed making it a really sheltered little spot. Having not done much exercise we took it in turns to run around the perimeter …. people must think the English are very strange. Only problem is we can’t find anyone to pay. The logos on the side of the camper have proved useful as the Czech people used to learn Russian at school and so can read the alphabet. Even when we were stopped by the police, they asked if we were driving all the way to Malaysia. They thought it was funny …. can’t think why!